reviews – The official website of author and storyteller David Neilsen! Five more days until the 31st and that means I’m in overdrive getting everything ready and doing shows and parties and generally running around like a deranged chicken out for blood. I still have two more shows at Sleepy Hollow Cemetery (tonight and Sunday), I’m visiting a local pre-school this morning to warp some toddler minds, and there are parties and readings and a zillion gloriously creepy things in the near-future. And the action never stops, because next weekend (Nov 3 and 4) I’m attending the Kid Lit Con in Hershey, PA as an author. I’ll be on a panel all about Middle Grade villains, and then hobbing and nobbing with folks at various other times of the weekend. I’ve got the graveyard out, and it’s lit with a red light from below and then highlighted by a pure bright white light from above. Various contraptions that are motion-sensitive. My famed rat-in-a-cage thingy. Body parts. Webs. The heartbeat. Jack-o-Lanterns. Anything else I can come up with. I’m thinking of creating a tableau of a dark form sitting at a table with a flaming jack-o-lantern for a head. Not 100% sure if I can pull it off, but it will be fun to try. What’s got me even more excited is looking forward to NEXT Halloween. Fingers crossed, but all the stuff I was supposed to do with Historic Hudson Valley this year ought to take flight next year. As well as a couple of other possibilities. Period adventures! Escape the Room! Classic, Gothic theater! Meanwhile, I’ve read some great Middle Grade books of late. 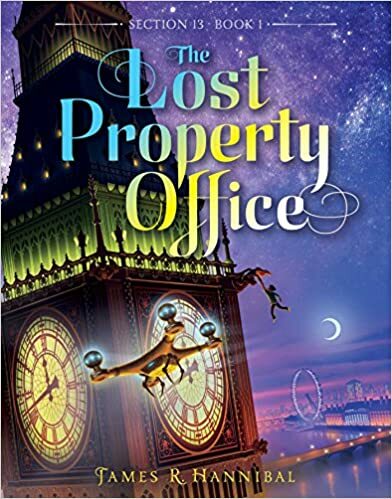 One of my favorites was The Lost Property Office, by James Hannibal. A fun, magical story of a kid in modern-day London following in the footsteps of the Great Fire of London in 1666. There are secret societies, mystical powers, dastardly villains, daring escapes. It rocks. And the sequel (already pre-ordered) comes out… on Halloween! Wooo!!! Two other Must-Read books which I have devoured recently are The Empty Grave and The Assassins Curse. The Empty Grave is the fifth and (no!!!) 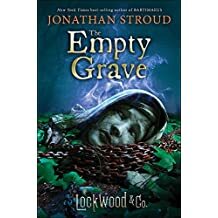 final installment of Jonathan Stroud’s Lockwood & Co. novels. I have been enamored of these books since I discovered them and each one has pushed the story and world forward in fantastic ways. The finale does not disappoint, except for the fact that it’s the finale. 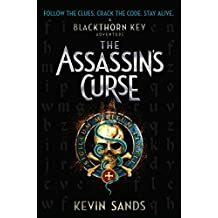 The Assassin’s Curse is the third book in Kevin Sands’ Blackthorn Key series. I read a lot of Middle Grade speculative fiction. This is not because I have difficulty with big words, mind you, but rather because I happen to write Middle Grade speculative fiction and it’s always good to keep an eye on what the competition is doing. 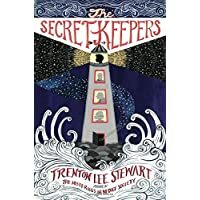 Right now I’m reading Trenton Lee Stewart’s The Secret Keepers. This is the guy who wrote The Mysterious Benedict Society, which is a great book and you should read it but we’re not talking about it so I won’t even link to it. The Secret Keepers tells the tale of a young boy who climbs up a wall and discovers something. That something sends him on an adventure filled with mystery, danger, backstories, legends, and municipality corruption–if that’s a term. Stewart wrote four Benedict Society books, and so this is a nice shift into a new world for him. It’s written in a style of hyper-reality, where things almost feel like they could be happening in our world, but something is just a little bit… off. I love those kinds of worlds, and in fact both Dr. Fell and this August’s Beyond the Doors (have you pre-ordered your copy yet?) live in hyper-reality worlds of their own. The book has kept me interested and guessing and involved, which is to say I haven’t given up on it and shoved it aside (which I do more and more these days). So at the moment (I’m about 2/3 of the way through) I would recommend it. 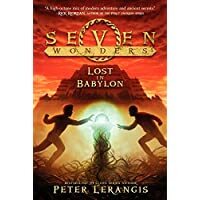 Before Secret Keepers, I dug my claws into Peter Lerangis’s Seven Wonders series. I read the first book, The Colossus Rises, and was working on the second, Lost in Bablyon, when I ran out of steam. The basic idea behind the series is that a kid discovers he is a long lost descendant of Atlantis. Because of this, he has a strange gene in his body which, when he turns 13, gives him superpowers. However, when he turns 14, the gene will kill him. The only way to stop this is to go out with three other 13-year-old Atlantis descendants and find 7 Magic Thingies. For whatever reason, before Atlantis was destroyed, the Atlanteans took the 7 Magic Thingies and used them to create the Seven Wonders of the World. Even though only one of those (the Great Pyramid of Giza) remains standing, the team of super 13-year-olds must find all seven. One per book. It’s a solid idea. It has Atlantis, which is always fun. It has super powers, which are always cool. It has the Seven Wonders of the World, which are great to be able to name because it impresses people a ton when I recite all seven. I liked the first book enough to race out to the bookstore to buy the second while I was on Christmas vacation. But somewhere along the way in the middle of the second book I found myself drifting. The plot just sort of goes all over the place, and really took the series (in book 2, no less) into a totally different world. It didn’t have as much of the magic that made the first one really good, so I gave up. Too many books to read to spend time on one I’m not absolutely enamored with. That said, I don’t want this to sound negative. I really did enjoy the first book. And for all I know, the other books in the series recapture what I liked about the series. 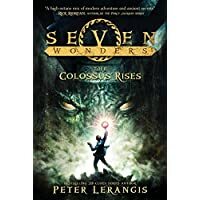 So I would recommend the first one and if you dig it and dive into the second, you may well end up reading a seven book series that you really like. Got a good Middle Grade speculative fiction book you think I should read? Let me know! I’ll pick it up!